This is the site for the Erasmus + Project Love Every Drop. Bringing together teachers and students from Lithuania,Turkey, Italy, Portugal, Slovakia and Hungary. We aim to support teachers and their classes to get active on environmental and natural issues that are of the utmost concern and responsibility that we all share. 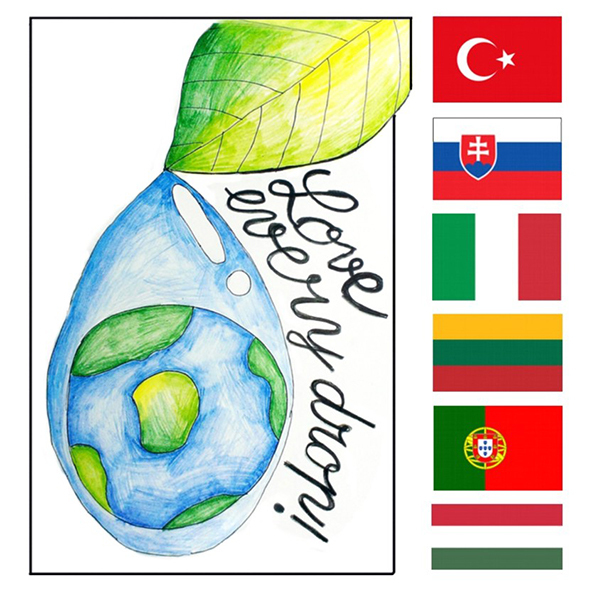 Love Every Drop will show them their potential to make a change and it will also motivate them to work together, to create Europe’s future within an ideal structure of high quality habitat and nature. We would like to enlighten students about how water is important for all of us and how much water is wasted every day. Besides the work they will do it at their very close environment, participating schools will be travelling to the partner countries for direct cooperation and intercultural exchange. © 2019 Love every drop. All rights reserved.